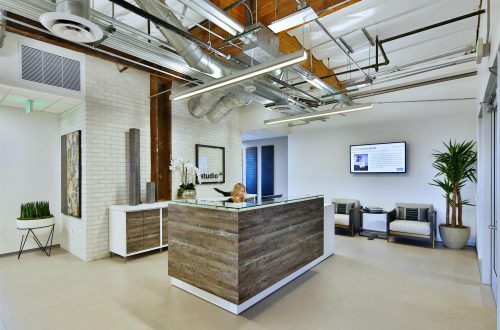 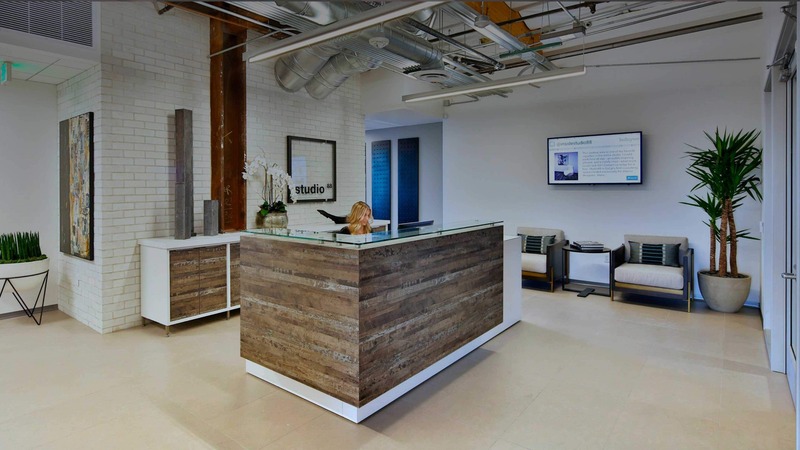 Studio 88 is a cutting-edge coworking space that caters to the interior design and homebuilding industries. 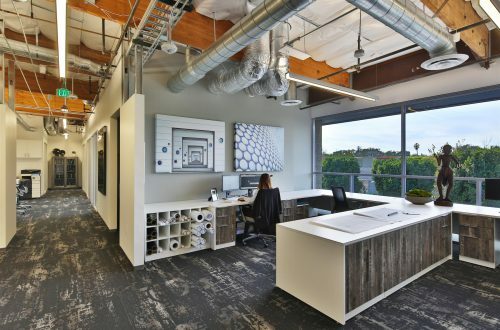 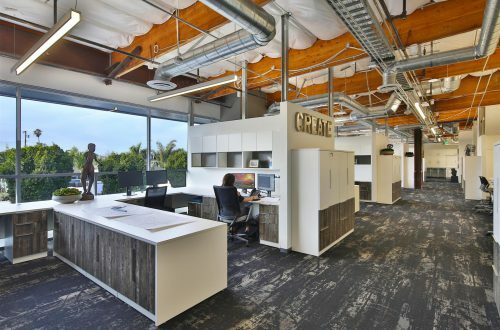 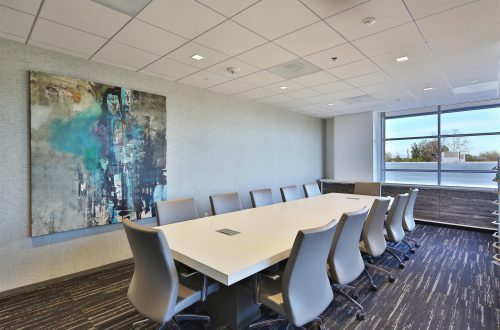 It is a collaborative work environment and Chris Johnson, the founder and president of Design Tec, wanted to ensure the aesthetic of the space reflected this. 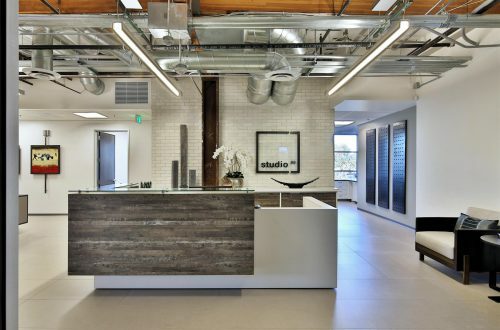 With the help of DeskMakers, Design Tec executed a contemporary, modern and industrial design. 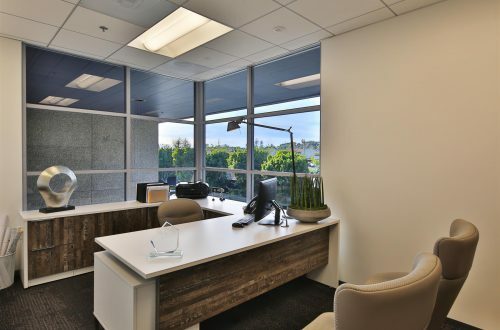 Custom cabinetry built above the desks make it is easy for employees to keep their workspaces organized. 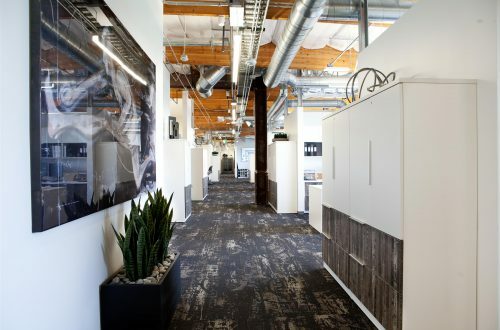 Chris was drawn to the industrial look of the reclaimed wood laminate from the DeskMakers’ Distressed Laminate Collection. 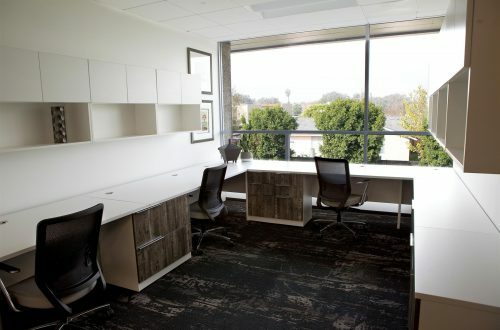 She was able to work with the designers at DeskMakers to create a truly custom space at an affordable price. 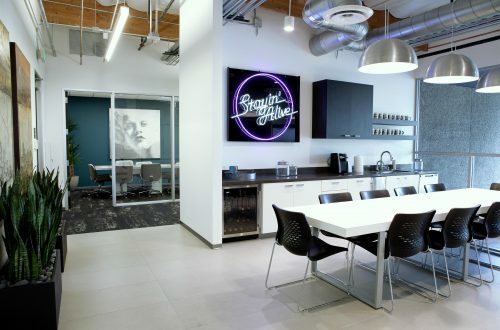 “If you’ve got somebody that is really willing to be creative with your project, it’s amazing what you can do,” she says. 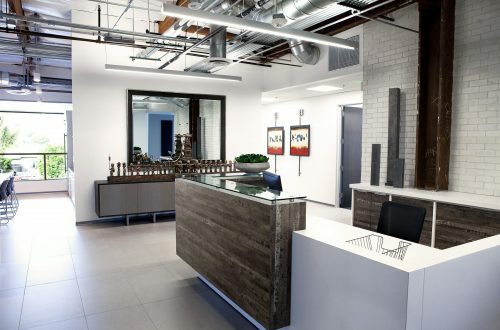 ProductsReception Desk, Conference Tables, TeamWorx and Custom Casegoods.